The High School program provides a solid college preparatory program in which students are encouraged and challenged to grow academically, individually, and as world citizens. Students select courses from a variety of academic disciplines including English, social studies, mathematics, science, foreign languages, art, music, technology, computer science, physical education, and health. The core academic program includes instruction in the four core subject areas: English language arts, mathematics, science, and social studies. 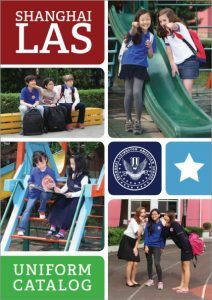 The language arts curriculum provides students with the opportunity to read numerous novels, short stories, plays, poems, and essays, both independently and as a class, and to learn to closely analyze and criticize works through the use of analytical and persuasive essays, discussions, debates, and projects. The mathematics curriculum offers a strong base of fundamental math courses such as Algebra and Geometry and more advanced courses like Math Analysis, Calculus, and AP Calculus. The field and laboratory-based science curriculum focuses on physical and environmental issues and the complex nature of a rapidly changing world environment. Students become actively involved in the scientific process as they investigate the world around them utilizing a variety of hands-on approaches. In social studies, high school students study U.S. government and Civics, while additional courses like World Cultures and AP Psychology are offered. In addition, students take physical and health education each semester and experience instruction in sport activity units, essential physical fitness training, and a variety of developmentally appropriate health topics.